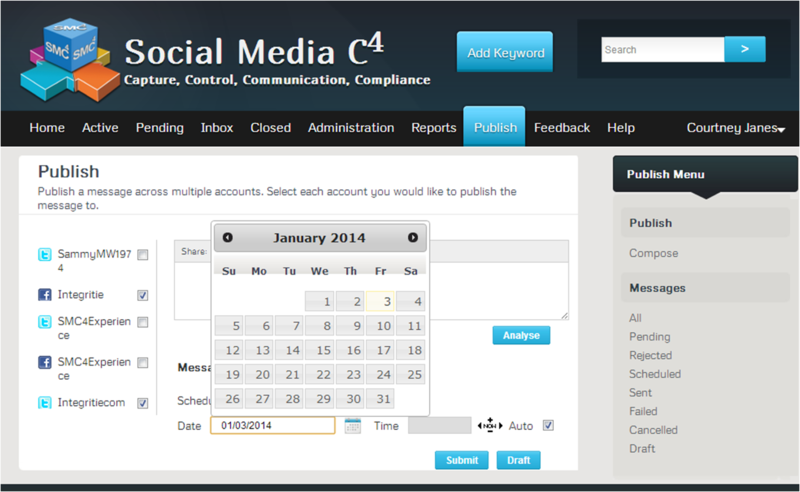 Publish to a single or multiple social networks. 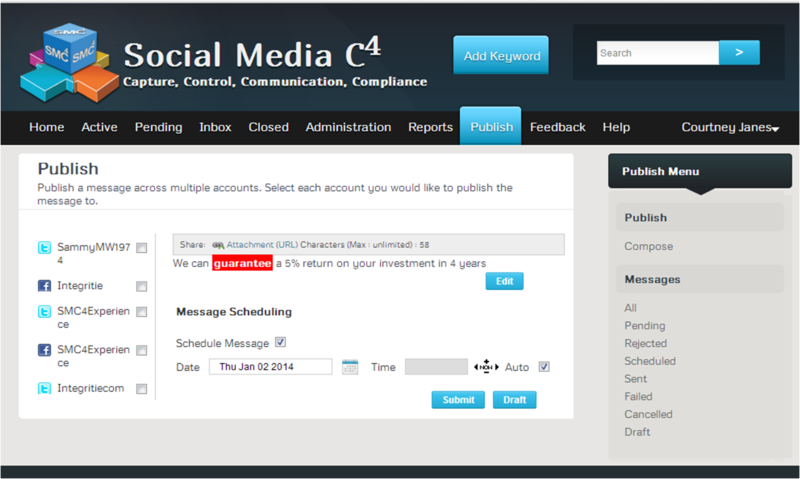 SMC4 simplifies the process of posting messages on Facebook, Twitter and other social media accounts simultaneously from one easy to use tool, by simply clicking on the social media accounts you want to post to. Post updates, upload images, include URLs, schedule messages and ensure compliance to regulations. Create and schedule posts to be published for a future date. Simply select a date and time, or use the auto function which publishes messages at times that drive results. Delivery notifications of published messages are sent to the user. See your upcoming scheduled posts. Under the 'pending' view in SMC4, users are able to see upcoming scheduled posts. Users can also edit content and reschedule times. Draft and edit messages for easy approval. SMC4 enables you to jot down rough ideas for new posts and save them as drafts, so you can come back and edit them later for future posts. SMC4 checks and controls what is scheduled for release, ensuring social media content is appropriate and approved for release. SMC4 checks and stops breaches to FINRA, FSA, SEC, or NASD rules, and stops profanity, racist, sexist, and other inappropriate public facing communications.